HomeResource CentreHow long should you rent your copier for? Are you searching for a new photocopier to rent for your office? It's true that choosing the perfect model based on your needs is vital – but it's also important to plan for how long you may need to rent out a copier. If your current rental plan isn't flexible, your office could get stuck with the same model that's now rendered itself inefficient. The downside here is that you won't be able to upgrade this old model until the rental contract has expired. This is why it's always important to have a photocopier lease that provides flexibility. A short photocopier lease can prove to be a more cost-effective option that benefits office production in the long run. So before you choose your next model, think about how long you should rent your copier for and what options are available. For a new copier rental that changes with your office needs, ask the experts at Copysonic. Buying a brand new photocopier can be an out-of-pocket expense your office may not be ready for. Coming up with the capital upfront can be challenging for small to medium-sized businesses or new startups. 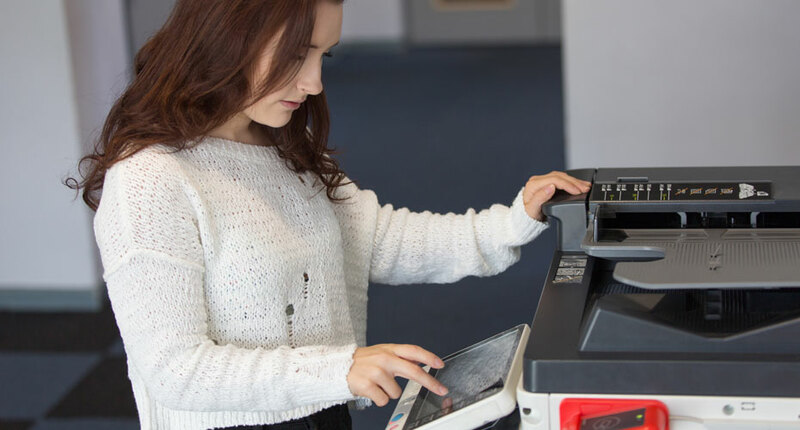 New technology for photocopiers and subsequent models are always being developed and released, so the benefits to renting a photocopier over buying one outright ensures a flexible approach to your office needs. By choosing to rent a photocopier, your office can save thousands of dollars in funds that can be reallocated to a different department for spending. No catch. Just like the purchase of a new model, a photocopier rental is also 100% tax deductible – so when your office is going through its end-of-financial-year review, it may be the perfect time to re-evaluate your copier needs. Photocopier rentals tend to suit small to medium-sized businesses for a number of reasons. Smaller companies tend to change and grow a lot faster than larger businesses, so if your company is stuck with the same model for years, it's going to be very difficult to upgrade it as your office's needs rapidly change. In some cases, a short-term rental agreement can cost more per month than a long-term agreement. The most important thing to remember is that short-term rental agreements will still offer you more flexibility. Your office will always be able to enjoy the benefits of new printing technology when you need it the most. Alternatively, you may decide your office needs to downgrade the current model you have. The option to switch out your current model for a more cost-efficient one is just another benefit to choosing a short-term contract. Like any other rental agreement, your short-term copier rental can be locked in with copier service rates. This ensures that your average monthly spend for your photocopier stays consistent, and with a consistent monthly spend, it's one less expense your office will have to worry about. Think about it this way – you can't go over budget with a product that doesn't change in price! Long term copier rentals can prove to be a savvy move for offices who don't want to purchase a new model or settle for a short-term loan. When you agree to a lease that lasts longer, it gives the owner of the copier rental more room for price negotiations. This agreement often results in a long-term copier rental costing you less than a short term one. You'll find it easier for your company to budget for a printer and office supplies with secure rates that can last for years. You may even find that some copier rental suppliers also provide you with the option to change your copier model and renegotiate your rental agreement. So when you're considering a long-term rental, don't assume you're completely locked in. Suppliers usually provide options to change your contract terms to accommodate your office needs. Why choose Copysonic for your next copier rental? Since 1992, Copysonic has been providing copier rental solutions for offices all over Melbourne. We pride ourselves on finding the perfect model and rental agreement for our customers. We understand that customer needs change and evolve over time. That's why we provide flexible copier rental options that can be changed too. While some competitors offer a minimum rental term of 36 months, we provide contracts from as low as 12 months. Lower rental terms enable our customers to update their photocopiers sooner and keep up with technology that's evolving faster every day. Copysonic also provides long-term service contracts that allow customers to lock in a fixed price. This enables your office to maintain the same running costs while you still have the option to change over photocopiers if need be. So when you're office is ready for a new copier rental, find a supplier that offers you flexibility. Copier rental specialists like Copysonic are always willing to change with the times, just like your office. How long should you rent your copier? For the answer to this question and many more, ask the experts at Copysonic today!